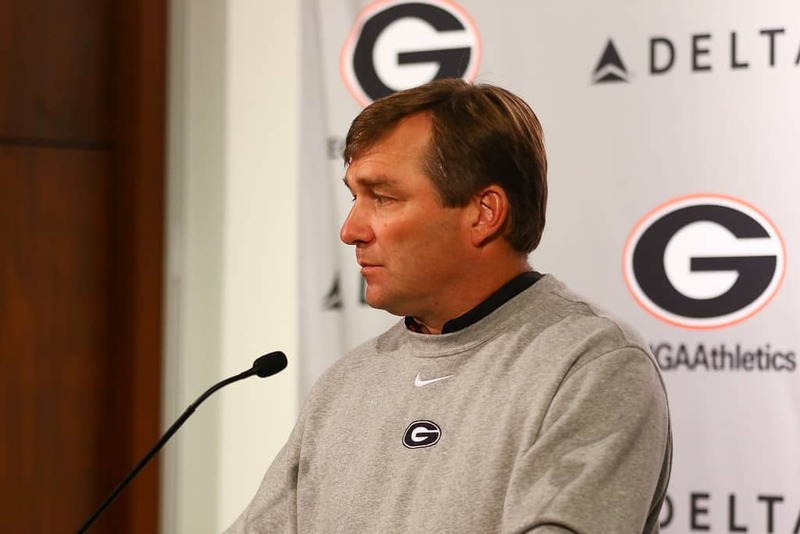 ATHENS, Ga. — University of Georgia head football coach Kirby Smart, along with several players, met with media members on Monday to preview Saturday’s game at LSU. Smart and the Bulldogs offered the following comments. “We move onto LSU, going to an extremely tough environment to play in, one that I’ve both experienced as a player and a lot of times as a coach. They have an incredible environment. Their fanbase is really second to none in their atmosphere they create from the time you pull in on the buses to play in the stadium. It’s an awesome opportunity for our team to play on a national stage. It’s an opportunity for a lot of our guys to play in a venue that a lot of Georgia players never got a chance to play in and some in the future won’t get an opportunity to play in. So that part is good. They have a really good football team. I think Coach (Ed) Orgeron has instilled a lot of toughness in their program. They play extremely physical. The game, you know, Saturday with Florida was extremely physical, a lot of big hits, a lot of contact. It’s just the way the SEC is. And you don’t get weeks off in the SEC, and it’s extremely tough place to play. I think you saw that last week with the teams that played on the road in our conference, and we’re going on the road this week. So good thing is we’ve been on the road twice in our conference, but we’re playing a really, really good football team this week in LSU. “It was an incredible place to coach and recruit. I can remember going to my areas within the state and being very well received. You’re really the only major university there in the state within the SEC. So when you go out recruiting, it’s not really recruiting as much as it is figuring out who the best players are and go get them.